The all-new 2019 Toyota Corolla iM or to say precisely, the newest Corolla Hatchback is finally ready to hit the market. 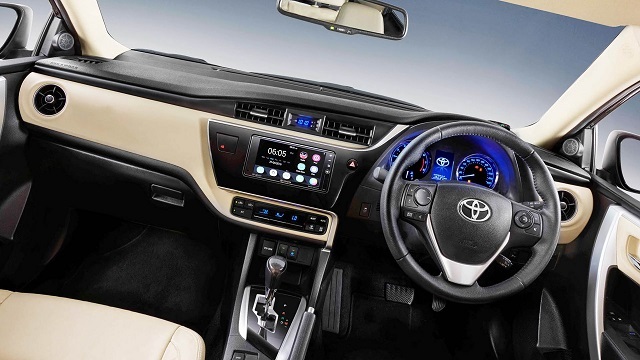 Besides the name changing, the Corolla will bring numerous changes and improvements starting from the entirely new platform which will make it larger without gaining the weight. Furthermore, it will now look more attractive and sportier and will get LED lights. The cabin will be more luxurious and equipped with advanced technology. Beneath the hood, the Corolla Hatchback comes with a new, more powerful, and more fuel efficient engine. The all-new 2019 Toyota Corolla iM will no longer use a previous 1.8-liter inline-4 engine but instead a new unit which will be more powerful. So, it is going to be a 2.0-liter inline-4 engine with direct injection and variable valve timing. This powertrain will be able to generate 168 horses which is 31 hp more compared to the previous model and 151 lb-ft of torque, 25 pound-feet more than before. The engine will work to either a 6-speed manual gearbox or a continuously variable transmission with paddle shifters. As for the fuel economy, the new Corolla is rated at 32 mpg in the city, 42 mpg on the highway, and 36 mpg combined. The front-wheel drive layout will be standard. The previous known as the Toyota Corolla iM will now be replaced by the new Corolla hatchback. However, it is not only a name change but there will be much more changes. 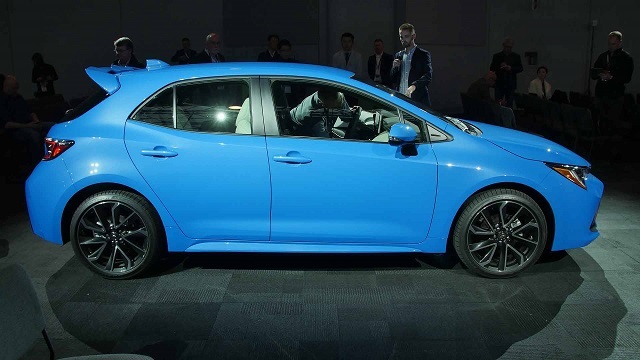 So, first of all, the newest 2019 Toyota Corolla iM will now ride on the new Toyota New Global Architecture (TNGA) and a revised sport-tuned suspension. So, thanks to the new platform, which will make it lower, longer, and wider, the new Corolla will be stiffer than its forerunner but because of the lightweight materials, its curb weight won’t change. In the terms of exterior design, the new Corolla hatchback reminds us a bit of the second-generation Mazda3 hatchback. It will now look more handsome, sportier, and modern. All the lights, head and tail lights will get LED lighting, so as the fog lights. The black mesh grille on the front is massive and now features a chrome surround and sharp headlamps above. On the rear, there is a unique rear window spoiler and chrome tailpipe diffusers. The larger 18-inch aluminum alloy wheels will be available in the higher trim levels. 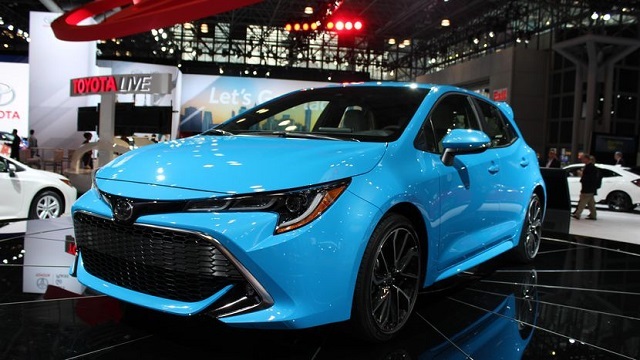 Inside as well, the new 2019 Toyota Corolla iM, or more precisely the Corolla Hatchback will be very pleasant and sufficiently comfortable for all the passengers. It is made of soft touch materials and there are some nice piano-black accents and contrast stitching on the dashboard and doors. On the center of the dash, there will be an 8.0-inch touchscreen with the latest Entune 3.0 audio system and infotainment system. The Apple CarPlay connectivity will be standard. The 2019 Toyota Corolla iM will be available in S, SE, and XSE trim levels. The S will come with a 4.2-inch multi-information display, single-zone automatic climate control, a three-door SmartKey system, power windows, two USB ports, and an electronic parking brake. The SE will also include leather-wrapped steering wheel, heated front seats, 16-inch wheels, and anti-thief system. The XSE will add leather seating, dual-zone climate control, an 8-way power-adjustable driver’s seat, a 7-inch TFT multi-information system, and so on. The 2019 Toyota Corolla iM hatchback should go on sale this summer. Its price should start at around $21,000.